This fresh savoy cabbage salad is full of colors, crunchy and refreshing. Follow the simple instructions and this colorful salad will be on your table in no time at all. 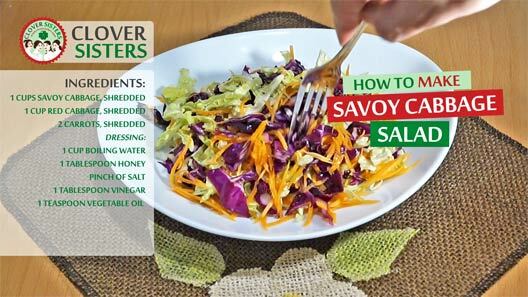 Combine savoy cabbage, cabbage and carrots and mix lightly with a fork. Into boiling water add the honey, vinegar, salt and oil. 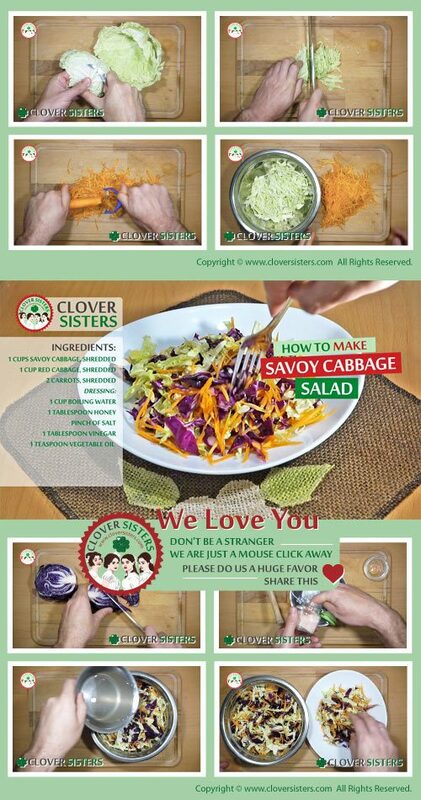 Cover your cabbage mix with the dressing and press it to cover completely. Leave it on a cold place over the night and it’s ready for serving.